Pittsburgh hip-hop artist and rapper Wiz Khalifa, who first achieved fame with his 2008 single "Say Yeah," is such a fan of Converse sneakers that Converse asked him to be their spokesperson. Khalifa promotes what he calls the "Taylor Gang" lifestyle, the name of which some fans speculate comes from Converse's iconic Chuck Taylor shoes. Khalifa leaves the last two holes on his Chucks unlaced and folds the tongue flaps over to create a signature lacing style. 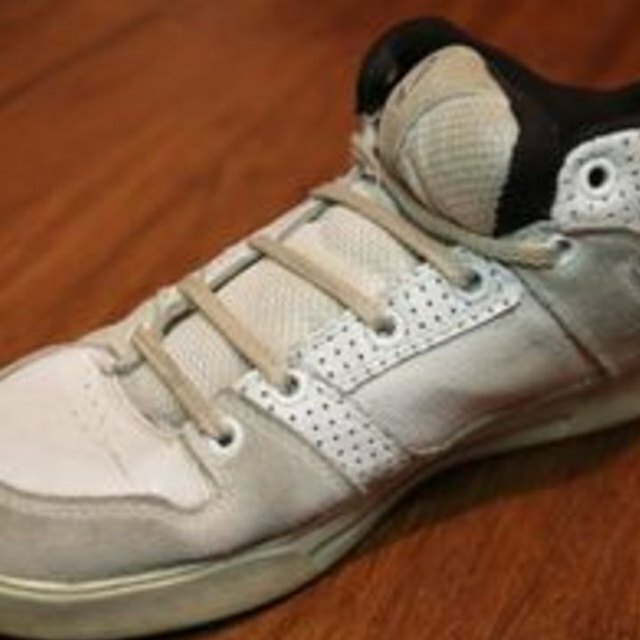 Insert one end of the lace into the top right hole of the sneaker. Insert the other into the top left. Pull both ends of the lace at the same time to make them even. The lace will lie over the top of the eyelets, creating a bar. Pull the left lace across, and insert it through the top of the next eyelet on the right side. Place your index finger between the lace and the shoe as you pull slightly to tighten. The lace should be very loose. Repeat Step 3 with the right lace on the left side. Continue crossing the laces over and inserting them into the eyelets, like you did in Steps 3 and 4, always keeping the laces extra loose. Stop when you have two eyelets left on each side. Tie the laces in a small bow in the middle. Slip the shoe onto your foot without untying, and fold the tongue over the bow, toward the front of the shoe.